Link to your gallery? I searched your posts and did not see it. 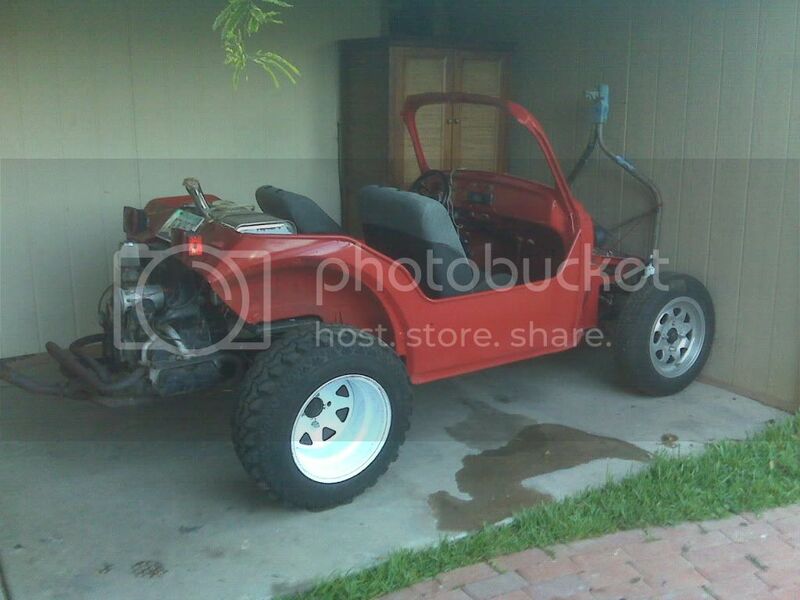 I'd maybe start with a one piece baja front end, rear baja fenders, rear cage for the engine, and a roll bar/cage. Then maybe look into the some mild suspension mods. Nothing too crazy. Kind of a cool beg, I think it has some potential. Oh, and you need to lose the stock front wheels. Trade em for some white spokes to match the back. was that thing white when you bought it? i remember something similar to that being up on craigslist for sale for a while. but i could be wrong. hahaa yeah it was on craigs, was it your? nope, not mine. i just remember seeing it when i was building mine and looking for parts. he had a bunch of stuff but i never got anything from him. I think that is a GAS tank in the pacage tray in the back. Replace it with a fuel cell and make a nice deck out of it with dams to keep fuel from spilling into the car or over the engine if you oops at the pump. 2nd choice go with a KEG tank. Just rember the Tank is kinda inside the car with you...so make sure it's solid mounted with a frame etc. VW Volkswagen & Baja Bug General Discussion Fuel Filler Ideas? 4 catchbats 6744 Fuel Filler Ideas?